Best practices to help you get the most out of your investment. Technology is ubiquitous in today’s healthcare environment. Yet hospital and healthcare organizations’ struggle to make the most of their technology investment is equally pervasive. They continue to grapple with numerous IT-related challenges, including ensuring on-demand access to patient data for clinical decision-making; combatting physician frustration and burn-out; protecting sensitive data and patient privacy; and keeping pace with escalating demand for telehealth. 1. Ensure safe, seamless patient experiences. Hospitals and healthcare organizations must take responsibility for engaging and protecting patients, from the time they enter the hospital through their inpatient visit, care transitions and discharge to home, rehab or a skilled nursing facility. 2. Empower care anywhere. 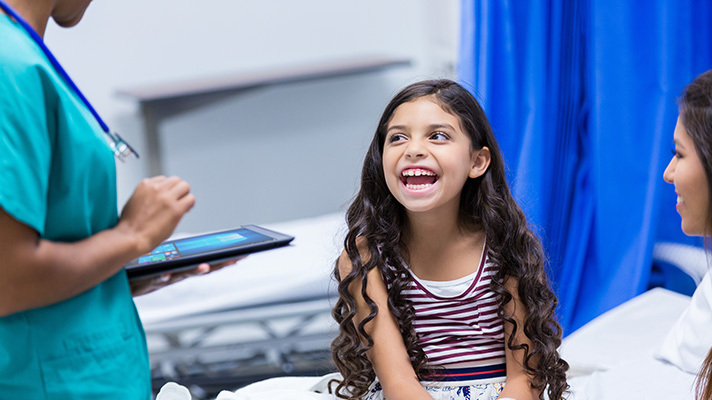 Physicians, nurses, therapists and other healthcare professionals need powerful, reliable, highly portable tablets, phones and laptops that give them the ability to deliver patient care not only inside hospital walls but beyond – including at the patient’s home. 3. Elevate care efficiency. With clinicians and patients constantly on the move across care settings, better, more efficient care also requires facilitating anywhere, anytime collaboration. Technology platforms that easily and seamlessly connect clinicians with patients, or with colleagues and specialists – no matter where they’re located – speeds up diagnosis and treatment. This helps improve outcomes as well as optimize clinician productivity. 4. Embrace health IT innovation. There are so many new health IT developments that it can be challenging to simply track them, let alone integrate them into patient care protocols. To learn more about how the right technology can help your healthcare organization drive better care, visit Lenovo Health in Booth #2443 at HIMSS18, March 5-9, in Las Vegas.